Warren D. Taylor, M.D., M.H.Sc. Welcome to the Division of Geriatric Psychiatry! The Division of Geriatric Psychiatry at Vanderbilt is a joint division including faculty at both Vanderbilt University Medical Center and the Veterans Affairs-Tennessee Valley Health System. Our core mission is to improve the diagnosis, treatment, and prevention of neuropsychiatric disorders of aging. Our efforts are directed towards providing outstanding clinical care, performing cutting edge neuroscience research, and training the next generation of leaders in geriatric psychiatry. We provide a range of clinical services including inpatient and outpatient geriatric psychiatry services at the Vanderbilt Psychiatric Hospital and outpatient geriatric psychiatry clinics at the Veterans Affairs Tennessee Valley Health Systems Medical Center. We additionally provide a comprehensive memory assessment and treatment services through the Vanderbilt Memory and Aging clinic. Finally, we provide consultation both to inpatient hospital services and long-term-care facilities. We have extensive involvement in graduate medical education. We have a fully accredited one year clinical fellowship in geriatric psychiatry designed for those who have completed their general psychiatry training. This program includes a broad range of clinical and educational experiences as well as the opportunity to engage in clinical research. Faculty are also extensively involved with general psychiatry training and medical student education. Research is a very important part of what we do and is centralized in the Vanderbilt Center for Cognitive Medicine, directed by Dr. Paul Newhouse. The Center’s mission is to study the underpinning and treatment of cognitive impairment in neuropsychiatric disorders. Studies in the Center include new treatment development for Alzheimer’s disease and mild cognitive impairment (MCI), studies examining the neural basis of the antidepressant response and novel treatments in late life depression, examination of the effects of stress exposure on cognitive performance, and examination of attentional deficits as an early marker of cognitive impairment, to name a few. 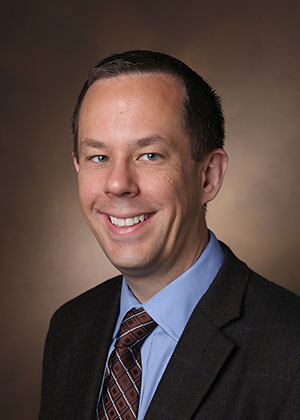 Research and teaching collaborations are extensive and include the Vanderbilt Division of Geriatric Medicine, Vanderbilt Center for Neuroscience Drug Discovery, the VA Geriatric Research Education Center, the Vanderbilt Kennedy Center, and many others. I encourage you to explore our Division webpages. Please contact me with any questions or requests for additional information.